1. Understand and use the basic functions in SoundsGood. 2. Use SoundsGood to play, manage and share music. SoundsGood is a music player App developed for music lovers. 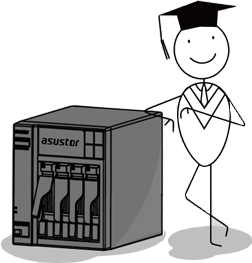 ASUSTOR NAS users can download and install SoundsGood from App Central. After importing their music collection or personal compositions to SoundsGood's music library, users will have their very own dedicated music streaming platform. Click on [ SoundsGood ] and then click on [ Install ]. Locate the [ SoundsGood ] icon in the ADM desktop and click on it to open SoundsGood. There won’t be any songs in the main interface as songs have not been imported to SoundsGood yet. 1. If you wish to play music on your phone, you can download the AiMusic mobile app from either Google Play (Android) or the App Store (iOS). 2. If you are out and about, you only need to enable ADM’s EZ Connect function and you will be able to use your Cloud ID to remotely connect to your NAS and play all the music stored on it. After installing SoundsGood, a “Music” shared folder will be automatically created on the NAS. You must first copy your music into this folder in order for SoundsGood to import the music into its own music library. Please copy your music files (e.g. , WAV, MP3, MP4, and AAC files) to the “Music” shared folder on your NAS. Open SoundsGood and ensure that the music files have been imported into SoundsGood. 1. The main interface allows you to browse your music via 5 main categories. These categories are [All Songs], [Album], [Artist], [Genre], and [Folder]. 2. The left panel provides [Recently Added], [Recently Played], [Most Played], and [Random 100] categories, allowing you to quickly play songs. 3. This is the playlist area. The “Favorite” playlist is already created by default. Any songs that you favorite will be added to this playlist. Users are also free to create new playlists. 4. The playback bar allows you to quickly change songs or pause/play songs, while the progress bar allows you to skip to any part of the song you wish. 5. The search field allows you to quickly search for any songs you need. 6. Towards the upper right hand corner of the interface you will be able to see the total number of songs in the SoundsGood library along with the total play time of all songs. 7. Here, you will be able view the song information for each song. Play any song by simply clicking on it. 8. Users can rate each of their songs and add it as a favorite if they wish. Clicking on the button in the main interface will display songs in list mode, while clicking on the will display songs by album cover. Once you find the songs you want, you can simply double-click on them to begin playback. The playback bar at the bottom of the interface will allow you to skip to the previous/next song, pause/resume playback and stop playback. If the information for your song also includes its lyrics, clicking on the [Lyric] button will display the lyrics for the song, allowing you to sing along as if you had your own dedicated karaoke machine. If you want to queue up a bunch of songs to play, you can simply right-click on the songs of your choice and then select [Add to Queue]. SoundsGood will then play these songs according to the order in which they were added to the queue. Although this feature is very convenient, you will not be able to view the songs that are currently in the playback queue. Therefore, it is highly recommended that you check out section 3.1 to learn how to create your own playlists in order to easily manage and playback all of your favorite music. When you have a specific song you want to listen to, you can use SoundsGood’s search field to help you to quickly find it. Simply enter keywords into the search field to use this function. 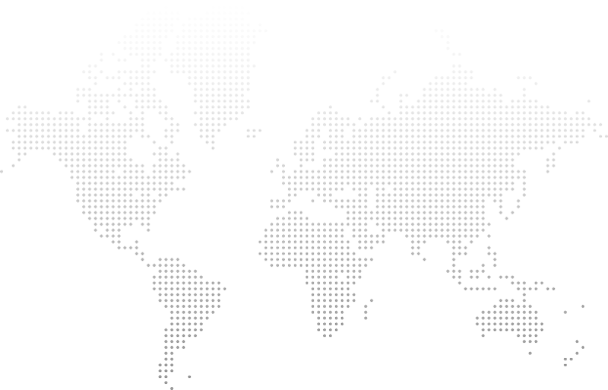 In addition to playing music, SoundsGood also supports music management and sharing functions. These functions include creating and sharing playlists, editing song information, and changing audio playback settings. These functions are described in more detail below. Creating your own playlists allows you to organize your songs for playback according to mood, genre, or any other criteria that you like! This allows you to conveniently playback multiple songs without having to select them one by one. Simply choose the playlist you want to listen to and you’re ready to go. By default, there will be a Favorites playlist created. Songs that have been favorited with the icon beside them will be automatically added to this list. Click on the [+] button and then select [Playlist] to create a playlist. Enter a title for the playlist and then select permissions for it. The permission is set to “Public” by default which allows access to all people. You can also select “ADM Account”(only users with ADM accounts will have access) or “Private” (only the currently logged in user has access). Select the songs you want and then drag them to the playlist. In our example, the playlist is “Relax songs”. When dragging songs to the playlist, you will be able to see the total number of songs that are being dragged to the playlist. Selecting the playlist that was just created will allow you to view all the songs in the playlist. Select any song on the list to play it. The other songs on the list will be played following this song. If you wish to modify the playlist name or permissions, right-click on the playlist and then select [Edit Playlist]. If you wish to remove the playlist, select [Remote Playlist]. When creating playlists, if you set permissions to “Public”, you will be able to share the playlist with all users. You only need to share the SoundsGood Web page link with anyone you wish to share with. If permissions are set to “ADM Account”, only people with NAS user accounts will be able to access the playlist. In this example we select “Public” for the playlist permission. As long as someone has the NAS IP address, they will be able to open SoundsGood and view this playlist. If you wish to share a playlist, you only need to enable ASUSTOR’s EZ-Connect and Cloud ID function. After enabling these functions, you can share the SoundsGood Web interface link with anyone you wish to share with (for example: http://demo.myasustor.com:8000/apps/soundsgood/) and they will be able to access the playlist that you are sharing. Clicking on the playlist will allow them to view all songs in the playlist while double-clicking on it will allow them to begin playback. *Note: If the permission setting for the playlist is configured as “ADM account”, users must log in using their ADM account after accessing the SoundsGood page, in order to be able to view the shared playlist. Song information includes information about the song’s artist, song name, genre, album name and more. If this information is incorrect, SoundsGood will be unable to properly identify the song. If you should discover that any song information is incorrect, you can edit it using the steps outlined below. You can also add lyrics for a song using the steps outlined below as well. Right click on a song and then select [Tag Info] in order to open its song information page. Click on the [Information] tab to view the song’s information. You can edit the song information as you wish. Click on [OK] once you are finished. If you wish to add song lyrics, please click on the [Lyrics] tab. After clicking on the [Lyrics] tab, you will be able to see the song’s lyrics. Here, you will be able to enter and edit lyrics as you wish. Once you are finished adding lyrics, click on [OK]. SoundsGood supports dual mode streaming, allowing users to select between Web page-based audio playback on their computer and playback via NAS local output. NAS local audio output is convenient for users who have audio output devices connected to their NAS such as HDMI amplifers, USB DACs, and USB/Bluetooth speakers. Users can also stream audio to AirPlay audio output devices on their local network as well. The default audio output mode for SoundsGood will be via the SoundsGood Web interface and your computer. If you have audio output devices connected to your NAS you will be able to use them to play music from SoundsGood as well. To do this, please click on the audio output button in the lower right-hand corner of the interface and then select the [Local] tab. Here, you will be able to select from among any devices that you have connected to your NAS. If you wish to stream audio from SoundsGood to other devices on your local network such as AirPlay devices or other computers, simply click on the [Network] tab and choose from any of the devices listed there.